1.1 This training programme aims at introducing the fundamentals of dive leadership to experienced certified PTRD 2 Star Divers, which will enable them to plan, organize and conduct their dives and lead other sport divers in open water with air or Nitrox (max. EAN40), to a maximum recommended depth of PpO2=1,4bar + deep national regulation, meters in a safe and competent manner. 4.1 A PTRD 3 Star Nitrox Diver is a Dive Leader. He shall be trained such that, when assessed by a PTRD Instructor, he shall be deemed to have a professional level knowledge of diving theory, solid rescue skills, dive management and supervision abilities, exemplary diving skills and sufficient diving experience to plan, organize and conduct open water diving activities and lead other recreational sport divers in open water on both guided and organized dives in a safe and competent manner. Where further scuba diving instruction is required, in order to meet the above mentioned competencies, this can only be provided by a suitably qualified scuba instructor. 4.2.5 To act as an instructional assistant to a PTRD Instructor by controlling students and improving safety. 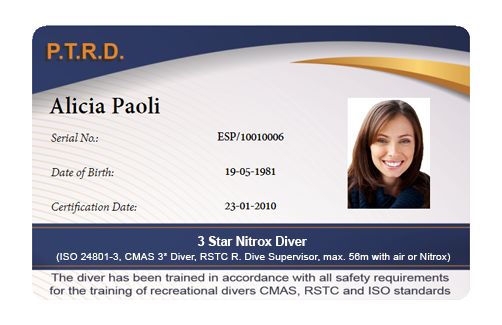 The PTRD 3 Star Nitrox Diver is however not qualified to assess or teach any skills or knowledge to any participant on a PTRD Diver Training Programme. 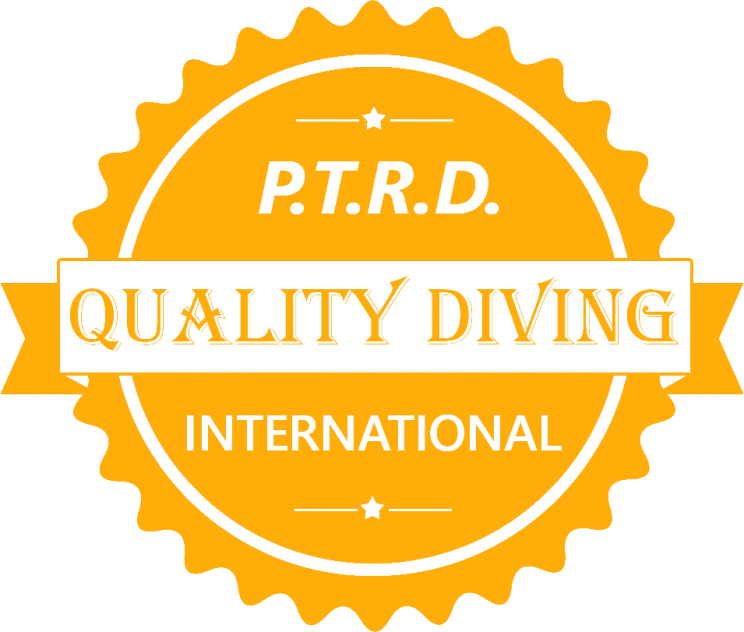 5.1.2.1 PTRD 2 Star Diver Training Programme or equivalent. Students shall have experience of night/limited visibility diving, deep diving (taking into account local environmental conditions), and navigation (as documented in bearer’s log). 5.1.5 Complete the medical history/statement form required by the PTRD Country Partner prior to participating in any in-water activities. Documented evidence shall be obtained that the student has been medically screened as suitable for recreational diving. Students shall be advised of the importance of appropriate regular scuba diving medical examinations. 5.1.6 Sign the appropriate form(s) as required by the PTRD Country Partner acknowledging and assuming the risks of SCUBA diving prior to participating in any in-water activities. Documented evidence shall be obtained that the student has been medically screened as suitable for recreational diving by means of an appropriate questionnaire or medical examination. In any case of doubt, or at the scuba instructor’s discretion, students shall be referred to proper medical resources. If the student is not examined by a physician the student shall be obliged to confirm by signature that he or she has understood written information given by the scuba instructor on diseases and physical conditions which may pose diving related risks. Students shall be advised of the importance of appropriate regular medical examinations.